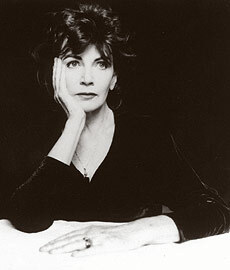 Edna O'Brien was born in 1932 in Twamgraney, County Clare, on the wild and breathlessly beautiful outreaches of Ireland. She grew up in a house with few books-only a bible, some cook books and manuals on animal husbandry--but soon escaped to Dublin where she discovered the novels of James Joyce, which set in motion her move to London and one of the great exiles of twentieth-century literature. Her first novel The Country Girls, published in 1960, received wide acclaim, though it was banned in Ireland for its sexuality and sharp-tongued depiction of women in Irish society. The book was burned in O'Brien's home parish, kindling her life-long "lover's quarrel" with her native land, imaginatively repossessed by her fiction: August is a Wicked Month, A Pagan Place, A Fanatic Heart, House of Splendid Isolation, Down by the River, Wild Decembers, In the Forest and Twilight, which is forthcoming. "Dreams are gone now, aborted in this summons to fire." Edna O'Brien lives in London.